A few weekends ago my boyfriend and I went and explored a local art festival. The festival featured artists from around IL who ranged from jewelry artists, painters, photographers, and more! It was a beautiful day to walk around and to gaze at all of the different works of art. My personal favorite was a gorgeous painting of a row boat, sadly we couldn't take any pictures! But, when I have a house of my own I hope to own some locally made art to spice up the walls. 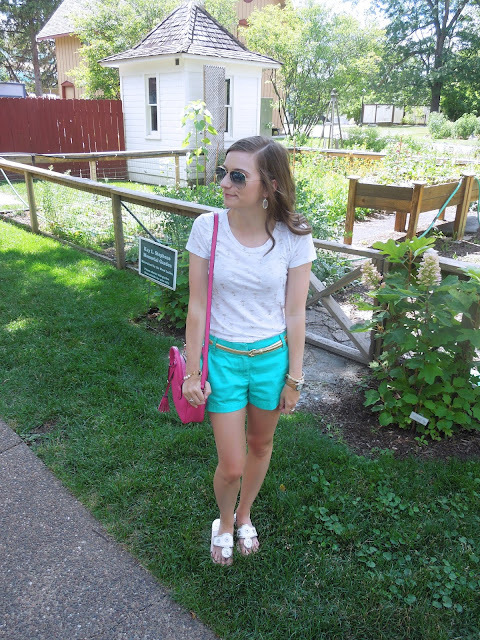 My go-to weekend look is a pair of J Crew chino shorts and a cute easy tee. This tee is adorned with dainty gold palm trees which is perfect for summer. J Crew tees are super thin which makes them perfect for hot days. These shorts are a bold turquoise color which spices up the otherwise white and gold ensemble. 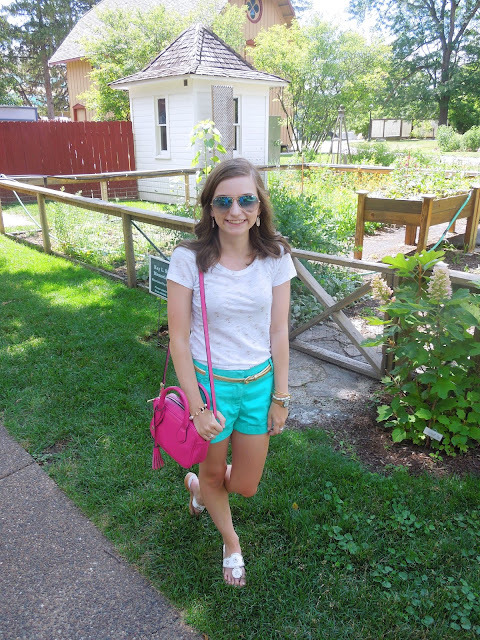 Naper Settlement is an adorable historic attraction downtown Naperville. 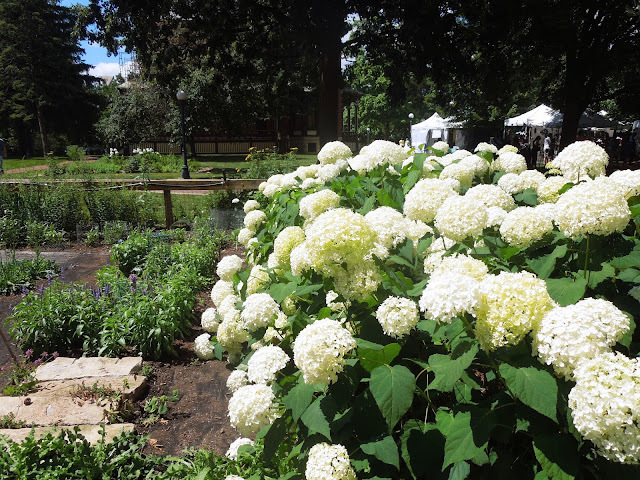 The art festival was held on the grounds and it was nice to stroll around and see all of the green space, flowers, and old world inspired buildings. If you are ever in the area it is a super fun place to be! 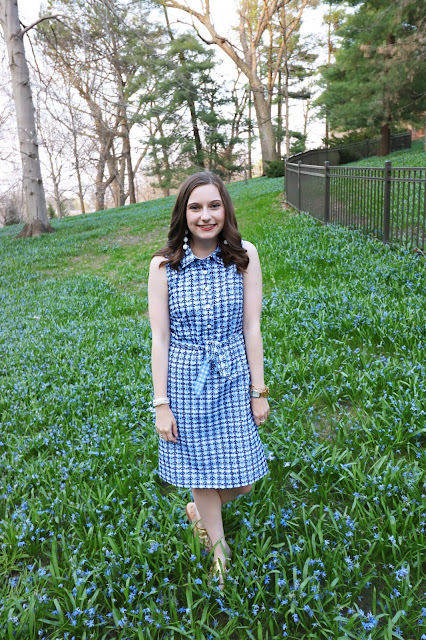 What's your go-to weekend look? Let me know in the comments! 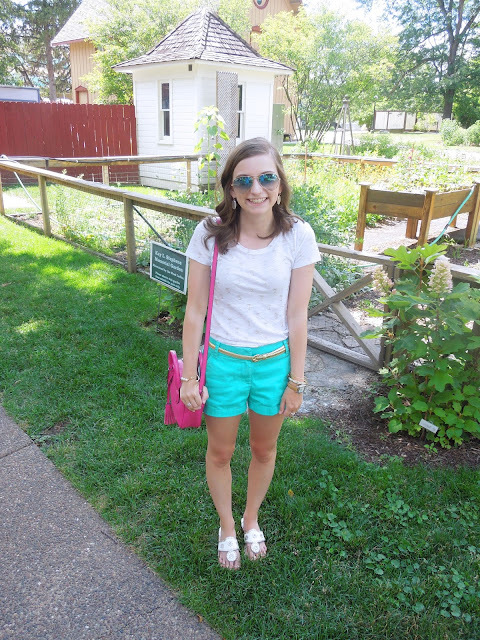 I love Naper Settlement, such a cute little place! I know it's so cute :) thanks for reading!